Professor Kodandaram is the Convener of the Joint Action Committee that is spearheading the current separatist movement. In his article titled “Telangana Marginalised” he claims that in Nizam’s Hyderabad state, the Telangana region was doing well in agriculture and industrial development. He further claims that the growth was disrupted after Telugus united in the form of Andhra Pradesh state. The most heinous statement that the Professor makes is that Nizam Telangana has become an internal colony after the formation of the state. The undeniable truth is that we were a colony under Nizam who sucked the blood out of poor peasants. Four thousand men and women who lost their lives fighting Nizam are the reminders of that atrocious rule. Sri Raavi Narayana Reddy, was one of the prominent leaders who led the peasants against Nizam. According to Sri Reddy, taxation in the Hyderabad state was 25% to 300% more than in other areas of the country. Peasants were required to pay a fixed tax called a levy, which they had to pay regardless of the output derived from the farmland. If there was a dispute between two people, before it could be settled, they had to pay a “dispute tax.” If a family member died, you could not cremate that person unless you paid the “ash tax.” Then, there was a war tax to finance the British in World War II. There were over 26 different kinds of taxes in enforcement. Sadly, Professor Kodandaram does not mind demonizing his fellow Telugus, yet he shows no hesitation to sugar-coat Nizam’s rule by saying that the region was doing well in agriculture and industrial development. Let’s move on to the statistical data that the Professor offers as evidence of “colonization” of Nizam Telangana. The gross area under irrigation in our state in 1956 was 32 lakh hectares. As of 2005-2006, that number stands at 60 lakh hectares. In other words, we brought 28 additional lakh hectares under irrigation. Out of these 28 lakh hectares, 15 lakhs are in the Nizam Telangana area, 10 lakh hectares in the Kosta area, and 3 lakh hectares in the Rayalaseema area. Is this what Professor Kodandaram offers as evidence of discrimination? Let us look at Canal irrigation first. In 1956, when the united state came into existence, we had 12.9 lakh hectares under canal irrigation. Despite all the government investments into canal irrigation, as of 2005-06 that number stands at 15.7 lakh hectares. In other words, we brought an additional 2.8 lakh hectares of land under canal irrigation. Of these 2.8 lakh hectares, 1.5 lakh hectares are in the Nizam Telangana area, about 70 thousand hectares in Kosta, and about 60 thousand hectares in Rayalaseema. Is this what Professor Kodandaram offers as evidence of colonization? Professor Kodandaram’s argument about abject neglect of tanks in the Nizam Telangana region and how farmers are relying on bore-wells are valid. However, let us not forget that the losses to the Rayalaseema region in tank irrigation are much steeper than Nizam Telangana. Ironically, half our state’s chief ministers hailed from Rayalaseema. In 1956 Nizam Telangana had 4.5 lakh hectares under tank irrigation, and as of 2005-06 that stands at 2.5 lakh hectares, a 43% drop. In Rayalaseema at the time of state formation 1.6 lakh hectares were under tank irrigation and as of 2005-06, mere 81,000 acres is under tank irrigation- a drop of over 50%. So, were the chief ministers hailing from Rayalaseema discriminating against their own region? The Professor conveniently forgets to mention one important fact. These four Kosta districts had all that area under canal irrigation for nearly 100 years before our state even came into existence. That is because of the Dowleswaram and Krishna barrages built by Sir Arthur Cotton. Those Kosta districts did not get canal irrigation at the expense of Rayalaseema or Nizam Telangana. However, Professor Kodandaram wants his followers to believe that it was done at the expense of other regions. There is no verbiage in the Gentlemen’s agreement that indicates Nizam Telangana would get 1000 TMC of water. Lastly to Jalayagnam- doesn’t irrigation minister Ponnala Lakshmaiah hail from Warangal district? Does Professor Kodandaram think that the well-educated and well-respected minister from Nizam Telangana would work against the interests of his own region? As of 2006-07, under Jalayagnam, Rs. 6,801 crore (54.84%) were expended on Nizam Telangana, Rs. 2,931 crore (24.38%) on Kosta, and Rs. 2,289 (19.02%) on Rayalaseema. In conclusion, we in Nizam Telangana should fight for every rightful drop of Krishna and Godavari River waters that have been allocated to us by Bachawat. Our leadership should focus on improving the tank irrigation and at the very least restore it to where it was 50-100 years ago. We don’t need a separate state to achieve these goals. We need leadership that is committed to serving the people. Sadly this is not a top priority for the separatist leaders, as they are busy pitting one region against another. Andhra Mahasabha of Kosta-Seema convened for the first time in the year 1913 in Bapatla. About 2000 visitors and 800 delegates attended this conference. In addition to Kosta and Seema delegates, there was representation from Nagpur, Warangal, and Hyderabad. Andhra Mahasabha was closely affiliated with the Congress Party. When the Quit India movement took off in 1943, the organization was banned by the British government. Why our state was not named Telangana or Telugunadu? Separate state proponents often gripe about the name of our state as some sort of a conspiracy. So, let us peek into our history to understand how our state got its name- Andhra Pradesh. Our tribe was originally called the Andhras and the term Telugu came much later. Some of the early mentions of Andhras were found in the Aitareya Brahmana of 600 BC. Whereas, the early references to Telugus were found many centuries later in the Puri inscription of the Indra Verma of Gangas. Andhra and Telangana interchangeably represent the same region and sect of people i.e., those living in the state of Andhra Pradesh. In the Kakatiya Empire, Telangana represented the current geography of Andhra Pradesh and bordering areas. Nizam for some time ruled the entire geography of the current Andhra Pradesh, as well as parts of today’s Karnataka and Maharashtra. Under Nizam, Telugu region was called Telangana. In 1800’s, French and British had their eyes set on Telangana’s coastline for defense and maritime reasons. When Nizam Asaf Jah died, his sons got into a bitter fight for the Hyderabad throne. By taking sides with the feuding princes, French got hold of Coastal Telangana i.e., today’s Kosta or Coastal Andhra. Later on, the British wrestled Coastal Telangana out of French hands. Ironically, as recently as 60 years ago, Telugus living in Nizam Telangana used to passionately identify themselves as the Andhras. When Telugus living under Nizam established libraries in their region, they called them Andhra Bhaasha Nilayamulu. One of the oldest non-government libraries in Nizam Telangana was established in 1901, in Ramkoti, Hyderabad and was named Sri Krishnadevaraya Andhra Bhasha Nilayam. This library later became a hub for cultural and political activity for Telugus suffering under Nizam rule. Similarly, when Telugus living in the Telangana heartland Warangal wanted to establish a library in the early 1900s, they named it Raja Raja Narendra Andhra Bhasha Nilayam. Again, in 1923, another library established in Hyderabad was called Vemana Andhra Bhasha Nilayam. Telugus living under Nizam faced atrocious discrimination. Urdu and Maratha were the dominant languages while Telugu language was often ridiculed as “Telangi Bedhanghi”. In 1921, in the Hyderabad’s Vivekavardhani Theater, a public meeting was held. All the speakers spoke in Urdu or Maratha. When it was the turn of high court lawyer Allampalli Venkatarama Rao, he got up and spoke in Telugu. Participants in the meeting protested to him speaking in his mother tongue and shouted down his speech. This incident was the starting point for Telugus rising up against Nizam. Telugu men left this meeting in frustration and formed an organization called Andhra Jana Sangham- yes, not Telugu Jana Sangham not Telangana Jana Sangham, but Andhra Jana Sangham. Andhra Jana Sangham later changed its name to Andhra Mahasabha. To differentiate itself from the Kosta organization carrying the same name, it was called the Nizam Andhra Mahasabha or NAMS. Nizam was troubled with the use of Andhra in all the organizations and institutions that Telugus in Nizam Telangana were forming. He suspected Hyderabad state Telugus of having an ulterior motive to merge with their Kosta and Seema brethren in the neighboring Madras Presidency. Despite Nizam’s overt concerns about the use of the term Andhra, Telugus refused to rename their organization to Telangana Mahasabha or Telugu Mahasabha. I go into a greater detail about Nizam Andhra Mahasabha’s heroic fight against Nizam in my book. But, here’s the gist- Nizam Andhra Mahasabha went on to become a formidable organization that became Nizam’s worst nightmare. It shook up the foundation of the Hyderabad state. In the violent struggle against the Razakars, thousands of Nizam Andhra Mahasabha leaders gave up their lives. So, where did this current antagonism for the term “Andhra” come from? In 1953, Nehru described Telugus desire to merge into one state as “expansionist imperialism”. Taking advantage of Nehru’s disinclination for a unified state, leaders like Dr. Marri Chenna Reddy, who till then were in favor of an integrated state, demanded a separate Telangana state. However, there was an overwhelming desire across all the Telugu regions for Vishalandhra. As a result, Nehru held extensive negotiations with the leaders of all the regions and conceded to the formation of a united Telugu state. Telugu’s dream for Vishalandhra became a reality with the signing of the Gentlemen’s Agreement. One of the sticking points during the negotiations was the name of the state. Leaders from Kosta and Rayalaseema wanted to name the state Andhra Pradesh, while some of the leaders from Nizam Telangana wanted to name it Andhra-Telangana. In the end agreement was reached to name the state Andhra Pradesh. So, that is the origin for today’s claims about Kosta conspiracy to name the state Andhra Pradesh. However, the undeniable fact is that Telugu people scattered across Tamil, Kannada, Maratha, and Oriya regions have always identified themselves as Andhras. There is no conspiracy behind calling ourselves Andhras. We all are Andhras, we all are Telingis, and we all are Telugus. The new definition of Andhra to represent Kosta and the new definition of Telangana to represent nine districts of Nizam Telangana is a fabrication of politicians intending to create a wedge between the Telugu tribe. The same breed of separatist politicians is continuing to harvest hatred among Telugus after more than five decades since our state came into existence. Sadly, my Telugu brethren are continuing to fall for the separatists’ antics. Thank you to all of you who took the time to respond to my note. This is a difficult and emotional issue for all Telugu people and the passion is quite understandable. I obviously cannot answer every comment that is posted, but I will try to clarify my position on some of the specific questions that were raised. 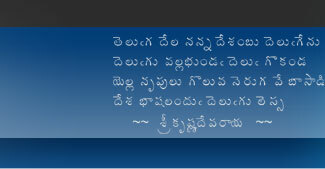 First and foremost, a big thank you to all my fellow Telugus who support the cause for a United Andhra Pradesh. 1) There was quite a bit of controversy around the data I published. I have cited sources for every single data point I presented in my book. Please note that all the sources I have used are publicly available in Andhra Pradesh. I spent two months in India circling public libraries and government offices gathering the data. If any of you find inaccuracies in the data I presented, all I ask for is scanned pages of the documents that show the mistake and I will go ahead and correct my numbers right away. The real issue that should worry all of you is how someone who doesn’t even live in the state can gather so much data in two months, while scores of professors in A.P. who spend their lifetime in research are not publishing results like this. Is there anything more important in A.P. than this particular issue at this moment? 2) There has been a lot of chatter about using percentages to show the relative growth of each region. I urge you all to read my commentary closely. I have mentioned multiple times that percentages in some cases can exaggerate the growth. In every one of those instances I provided normalized numbers. 3) The comment about why our state was named Andhra Pradesh and not Telangana or Telugu Pradesh. I provided the history behind our state’s name in my book. Also, lookout for my upcoming note on this exact topic. 5) There were questions about 6-point formula, Gentlemen’s agreement and other topics. I have delved into all of those in my book. 6) Then there was a point made about 1700 TMC going waste into ocean- not sure if the blogger was referring to Krishna or Godavari. Though the number seems very high, I am going to assume Krishna, as Godavari is a lesser controversy. I do not know the exact quantity of Krishna TMC going into the ocean. I am willing to accept your number for the sake of this discussion. However, remember that these are flood waters and are not a reliable source. 800 TMC is what Bachawat determined as available to us with 75% dependability. Building large scale projects to tap waters that may come once in five years may not be the most prudent approach. I reiterate my point that tank irrigation is the best source for districts that are at a higher altitude. '8) Then comments about cultural differences between regions. These are somewhat subjective. I will leave it up to the readers to make up their minds. I come from a school of thought that there are many common cultural aspects that have bound Telugus together for over 2000 years, as opposed to the differences created in the last 100-200 years- thanks to the British, French, and Islamic invaders. Telugu tribe today stands at a crossroads. Next few months will decide the fate of our race. Unfortunately, the people of our state have little say in these vital decisions. Our future today rests with the leaders at the center, and opportunistic separatist politicians of our state. The leaders at the center neither understand our history nor have any interest in protecting our race. On the other hand, the separatist politicians neither have facts nor history on their side. They therefore are holding the people of our great state hostage with the threat of violence. Our future today looks bleak. However, I believe we can change the tide, if the good people of our state rise up against this atrocity being committed by the separatist politicians. There were many instances in our history when Telugus fought back from the brink of extinction. After the demise of the Satavahana Empire, Telugu country was in a state of utter disarray. From nowhere came a king named Rudradeva, ruler of a small principality of Warangal. With the consummation of Kakatiya Empire, he achieved something that was till then deemed impossible. Rudradeva united the Telugu country that disintegrated after the demise of the Satavahana Empire. Delhi’s formidable Muslim army occupied entire India. During this process Tuglaq mercilessly destroyed the Kakatiya Empire. When things looked bleak for Telugus, a common soldier named Prolaya Nayak and his cousin Krishna Nayak from Musunuru, raised an army and dared to achieve something no other Indian king could achieve. The brave Krishna Nayak drove away Tuglaq out of Telugu land and took back Sultanpur i.e., Warangal. Then there is Vijayanagara Empire, founded by two brothers from Warangal- Harihara and Bukka. The legendary duo consolidated entire South India under their rule. When northern India was besieged by invaders that came from across the border, Harihara and Bukka built an empire that acted as an impregnable wall against the invading armies. They protected the entire South India including today’s Andhra Pradesh, Tamilnadu, Karnataka, and Kerala. During these battles, millions of our forefathers sacrificed their lives – sometimes losing half a million men in a single war. Despite these monumental losses, our forefathers refused to give in to the enemy. What inspired them to make such sacrifices? There can’t be any other reason, but to protect our culture, our heritage, our history, and our identity. My friends- Telugu people are capable of rising up even when backed into a corner. If history is any guide, we should be optimistic. My recently published book- “My Telugu Roots: Telangana State Demand – A Bhasmasura Wish” delves into the details of our glorious past. My Telugu Roots goes through many aspects of our medieval and modern history in the context of current demands for a separate state. In many of the debates occurring over the separation of our state, there is a lack of statistical data to respond to allegations of regional discrimination. I have put the entire Chapter 19: “Telangana State Demand Built on a Platform of Lies” online. You will find comprehensive statistical data in a simplified format to help you with your arguments for unification. The current so-called student movement is a mere repetition of 1969, when politicians used high school and college students for their selfish ends. Learning about the Jai Telangana movement of 1969 is crucial to put the current violence into context. Please find the entire chapter 17: “Jai Telangana- Chenna Reddy versus Indira Gandhi“, online at my website. I will be writing regularly on the crisis in our state. 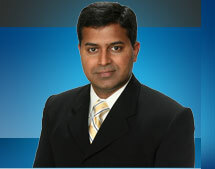 Join me on my website at http://www.myteluguroots.com, or on my facebook page and twitter at the links given below. Please share my website link with your friends and family.